The Heritage Council invites all those organising events for Heritage Week in August 2018 to come along to a free Training Day on 27 April 2018. The Royal Irish Academy, Academy House, 19 Dawson Street, Dublin 2. 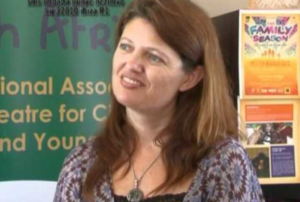 Join Yvette Hardie and explore some of the mechanisms for connecting theatre experiences back into the classroom. The workshop will be a playful and engaging approach to creative learning opportunities. Theatre creates a space in which the imagination is unleashed and curiosity about the world around us is nourished. 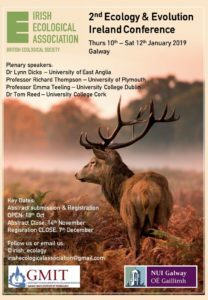 From 10-12 January 2019, NUI Galway and Galway-Mayo Institute of Technology (GMIT) will jointly host 170 ecologists as part of the second ‘Ecology and Evolution’ conference.